We, the members of the A-TEAM, have developed over time a regimen to make useful gundogs out of your Pointing Breed stock. We have tried-and-true routines and daily drills to get your dog to where it should be. Through our experiences in the Competitive Field Trial circuit, AKC Hunt Tests, and NAVHDA we have worked out all the wrinkles to making solid consistent field performers. 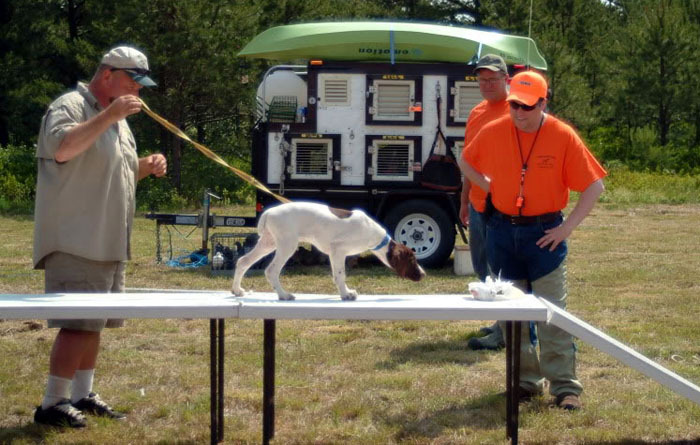 We only use E-collars when necessary, in limited applications, and we have a kinder, gentler approach to get your Pointing Dog to the level you expect. At times, we spend a large amount training the owners as well. If you are looking for a positive-approach trainer, one who excels in success, then come out and get on the A-TEAM!